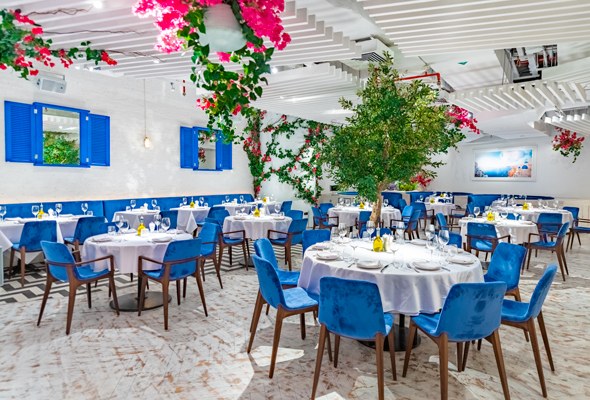 This upscale-casual Greek restaurant was the brainchild of a Greek foodie named Kyriakos, who spent years playing with different flavours and cooking technique while living in the Greek islands. He first travelled to Dubai to visit his son Christos, and was surprised to find a lack of quality Greek food in the city. It was then that he made the decision to open a restaurant in the city, to showcase the rich history and cuisine of his country to the UAE. ‘Zorba’s Dance’ was first made popular by the Greek 1964 film Zorba the Greek. 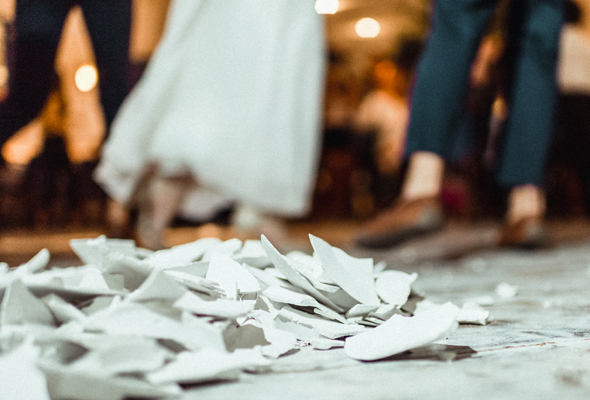 As with plate-smashing, it’s common for Greeks to shout “Opa!” (an exclamation to show joy or draw attention) during the dance. Diners are invited to take part in the high-adrenaline show each evening at the restaurant. 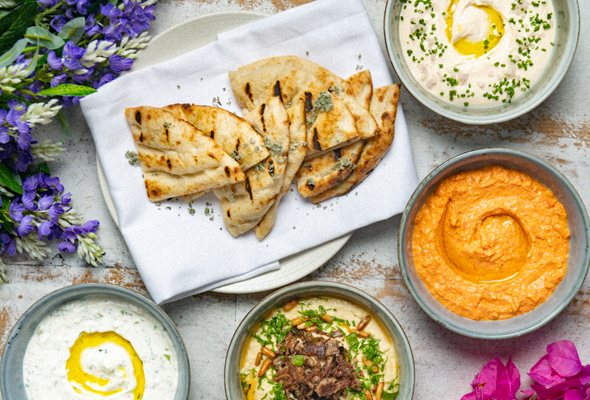 Kyriakos has an appetite for traditional authentic Greek flavours, including tender grilled meats, fresh seafood dishes as well as zesty salads and Greek-inspired tasty desserts. 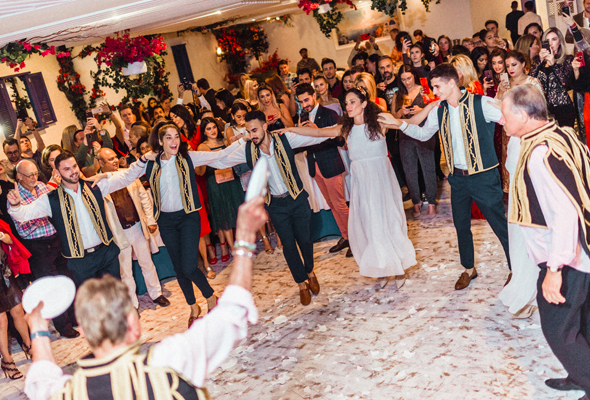 The menu includes dishes such as kleftiko (braised lamb shoulder with feta mash, mint jus, mint salad) and maroulosalata (a salad including artichoke hearts and mizithra cheese). 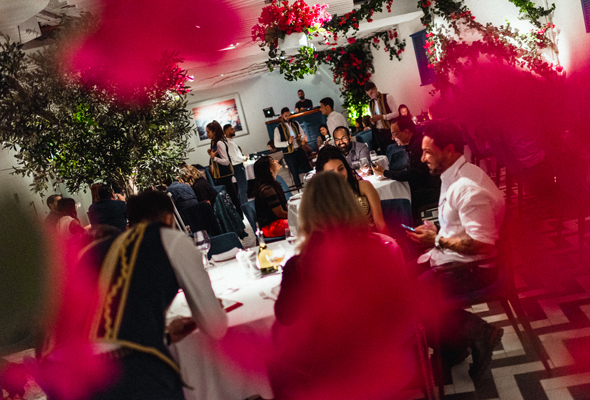 Stepping into OPA, you would be forgiven for thinking you had stumbled into a sun-drenched cafe in Santorini. The restaurant is kitted out in traditional, stripped back Greek whitewashed walls with blue details. There is also pretty Greek island flora dotted about the restaurant, with a laid back traditional bar at the back of the restaurant.